Nam and Nat are currently on tour coaching with the Australian Junior Womens Volleyball Team. The team is in Thailand for the 17th Asian Junior Womens Volleyball Championships. In preparation the team will also compete in the South East Asian Junior Volleyball Tournament. A season of hard work has paid of for the UTS club with UTS being named Champion Club for 2012. Full details of the results can be found on the SVNSW SVL page. A set of pictures from the day have also been posted on the SVNSW Facebook page. Thanks to Briianka (& Gus & the various babysitters) for running the competition. Congrats to everyone on a great season! Bronze Medal Update:Our team played off for the Bronze Medal against Baulkham Hills Brumbies, who had previously beaten us in the preliminary rounds. We had an almost full squad which gave Coach Marielle plenty of options and we were able to dominate for the majority of the match. We won in 3 straight sets, 26:24, 25:17, 25:22 thanks to some great passing from our back row and perfect setting by our alternating setters, Lucas and Michael. Everything seemed to work and we all all enjoyed a fitting end to our SVL ‘rookie’ season in Div 1, as we walked away with the Bronze Medal. 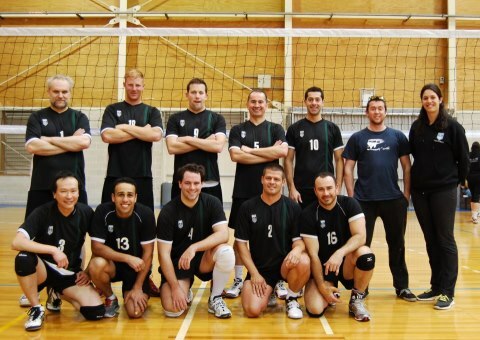 Bronze Medal Final Result: UTS2 def BHV-Brumbies 3:0 and UTS2 takes 2012 SVL Div 1 Men 3rd place. Note: The Gold Medal was won by BHV-Khalsa who defeated UNSW 3:2 in a close 5-set decider. The league season finished off with some very exciting matches for our Junior Team. 3 Junior teams played off in bronze medal matches and 1 team in a gold medal match. The U15’s team easily beat Sydney North to win the Junior Division 2 bronze medal in straight sets. The U17’s struggled in the first set but found their rhythm to win the next 3 sets of the Junior Division 1 bronze medal match. In the Open Women’s Division 1, UTS Santa Sabina played Manly Volleyball Association. This is the first time that a Santa team has ever qualified into an Open Senior Women’s competition finals series. After a slow start in the first set, the team managed to catch up but narrowly lost the first set 23-25. However from that point on, the girls dominated at the net and won the following 3 sets to the win bronze medal comfortably. The gold medal match of the Junior Division 2 was an epic battle that went the full 5 sets. After 2 sets all, our U16’s team trailed behind Baulkham Hills High throughout the 5th deciding set. At 14-11 down with 3 match points against them, the girls dug deep and clawed their way back to level the score. Solid serving from Ailish Power and Montana Meucci, with aggressive plays at the net from rookie player Emily Devine secured the gold medal winning 17-15 in the end! SVL Grand Finals are now only a very short time away. Match reports from semis will be put below when we have them, but we know the Mens Honours team and UTS United team are both in the Gold Medal games – playing at 12pm and 2pm. 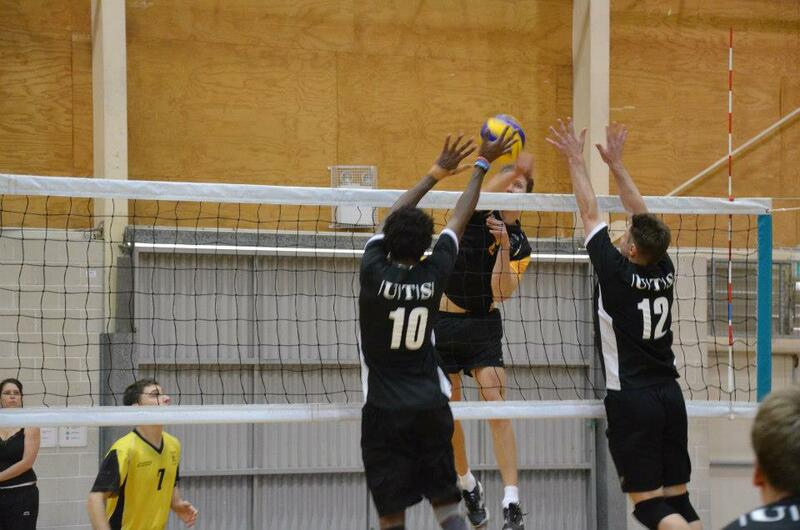 The Mens 1 Team 2 are in the Bronze medal game, as are the UTS SS Womens 1 team – both playing at 2pm. Three of the junior UTS SS teams also made Gold and Bronze medal games in their division. Best of luck to everyone involved. What better way to get us all ready for finals than to share some video highlghts from the recent 5 set SVL Men’s Honours game between UTS & Vostok. Thanx to George Jigalin for putting this video together. The last round of SVL on 2nd September saw an extra spring in everyone’s step (Yes…Corny. I know.) Some big games over the weekend impacting how teams would be placed in semis. Congrats to all those that made finals. When we went into the stadium it was all sea of UTS & BHV colours playing against each other, Div 1 men is no exception,… It is the first time, all season, that we have had all of our 11 players as well as our on-court Coach, Marielle. We started with 9 players on week 1 and our full squad grew to 11 players by week 2. Rick is injured so he came for moral support with a cuppa and hangover! Also, we had Luke who had not slept since Friday, as he’s been out all weekend catching bad guys, came in as our ‘super-sub after he downed six packs of red bulls, for this important match as there are 3 teams vying the 2 remaining semi-final spots in Div 1, with UNSW and BHV K already qualified after week 7. Everyone were playing very well and contributing to our 3-0 win, as we were excited to have options for each positions with Lucas had a few rotations as our setter since Michael will be unavailable for the Semi-final game. We finish the round robin with 7 wins and in 3rd rank/position to make it into the semi-final berth against BHV K. I would like to thank everyone for their commitment and punctuality. Special thanks to George who’s been our team captain, reporter and nominated 1st badge Ref throughout the tournament; George is also the only player who played in all of our 10 games, and he played superbly in every single one of them, he also helped me manage the team with dedication. 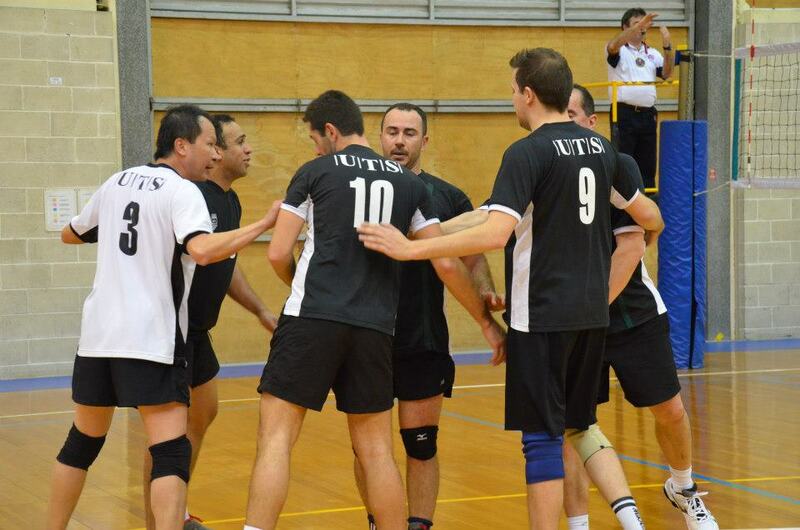 As a last note, after watching Artem played with UTS Honours team to defeat Vostok in similar fashion to the Russian team defeated Brazil in the London Olympic, we all look forward to the finals weeks and to end the 2012 SVL season on a high. You are currently browsing the UTSVC blog archives for September, 2012.